Once in a while I CRAVE Chinese take out and then disappointed by all the crappy take out places between Sarasota and Bradenton. A few years back I was buying a car and the finance guy reviewing my paperwork was making small talk and somehow got on the subject of Chinese food. Weird I know. 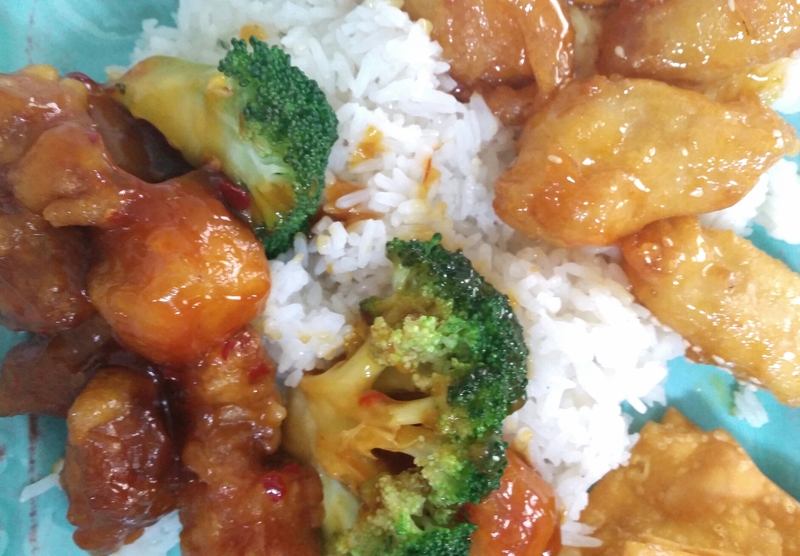 Anyway, he mentioned that he recently moved to Tampa… he only comes here once a month… blah blah blah… but that anytime he works in this area he makes a point of getting take out from China Wok II in Bradenton. Now he had my attention! He went on and on about how it was the best Chinese take out he’s ever been to, how fresh it is, how good it is etc. A few weeks later I decided to give it a try and holy goodness he was right! It is sooo good!!! China Wok II in Bradenton is hands down the best Chinese take out anywhere! It’s located in the River Edge Shopping Center off HWY 64 next to Publix. My favorites are the Honey Chicken, the General TSO’s Chicken, the Pork Fried Rice, the Vegetable Lo Mein, the Fried Chicken Wings and the Crab Rangoon’s; to name a few! If you like Chinese and craving take out, it’s worth the drive!!! Trust me!